Has your hair been damaged and had to be cut? Have you had it cut and regretted it? If you have had to cut your hair for whatever reason and now want to grow it back I am here to help. 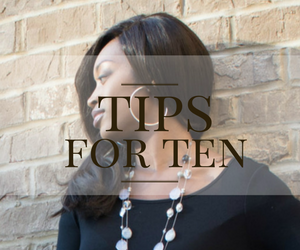 Today I am going to share with you my top ten list on how to grow your hair back long and healthy. 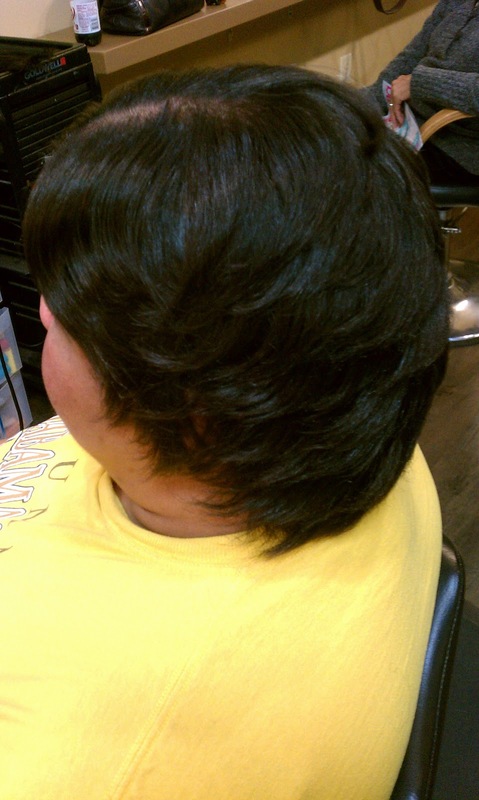 Note: All of the pictures on this post are the same client who grew her hair back in one year! Let's get started..
1. 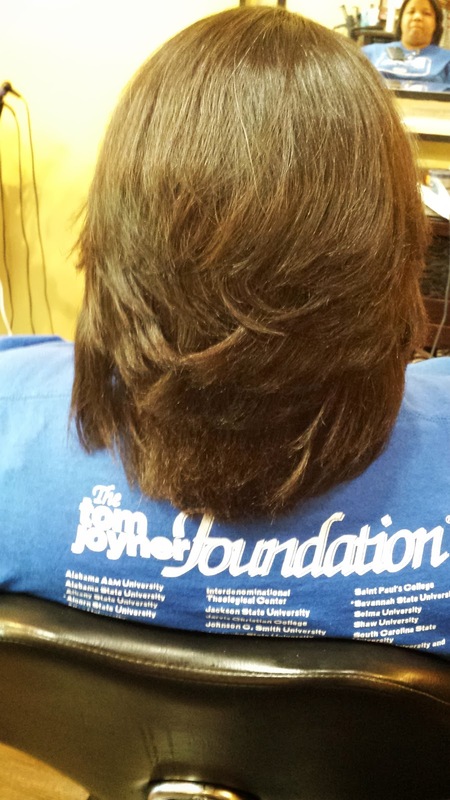 Shampoo and condition weekly- Doing this helps circulate the blood flow in the scalp which stimulates hair growth. 2. 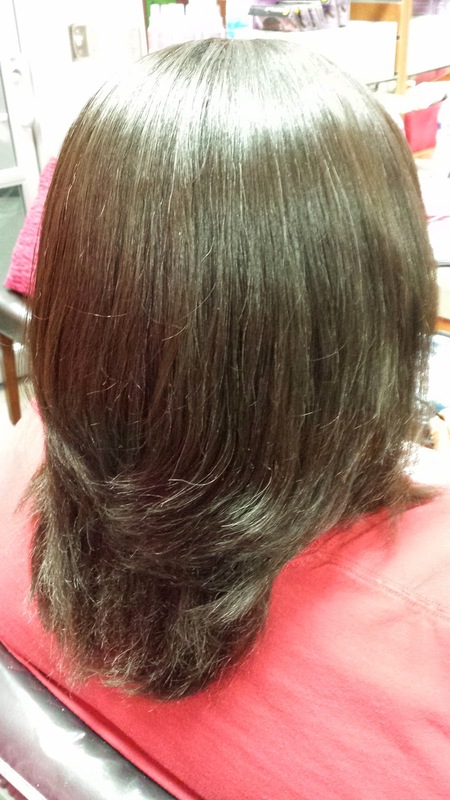 Limit your heat to once per week or less- Excessive heat can damage the hair causing breakage. 3. Use heat wisely- When using heat only go one pass on the same section of hair. 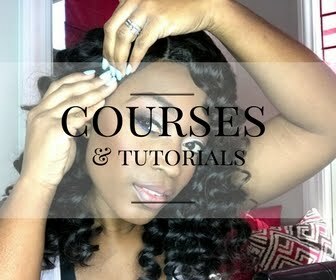 Never continue to curl or flat iron the same piece of hair over and over. This can lead to heat damage which can cause breakage. 4. Use the right shampoo and conditioner for your hair type- Choose your products based on your hair's needs. If your hair is always dry, be sure to use products with lots of moisturizers in them. 5. 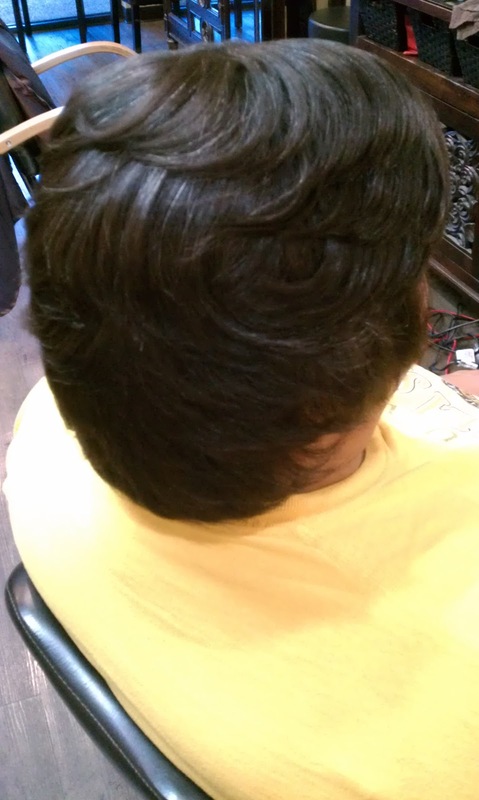 Wrap your hair daily- Wrapping the hair helps protect the ends and lay the roots down which keeps the hair healthy. 6. Trim regularly- Trimming the dead ends off the hair is the only way to stop them from continuing to split up the hair shaft. Trimming split ends does not make the hair grow, but it does allow the hair to grow healthier because the split ends have been removed. 7. Keep your stress levels low- Stress can adversely affect your hair causing it to shed significantly more than normal. 8. Drink water daily- Drinking half of your body weight in water daily helps keep your body hydrated and nourished, including your hair. This is much easier said than done, but trust me, it works! 9. Eat a balanced diet- Making sure your diet included plenty of fruits and vegetables helps nourish all of your body, including your hair. Taking a multi-vitamin also helps supplement the nutrients that you may not be able to eat through your food. 10. Be patient!- Hair growth is very slow, averaging about 1/2 inch per month. 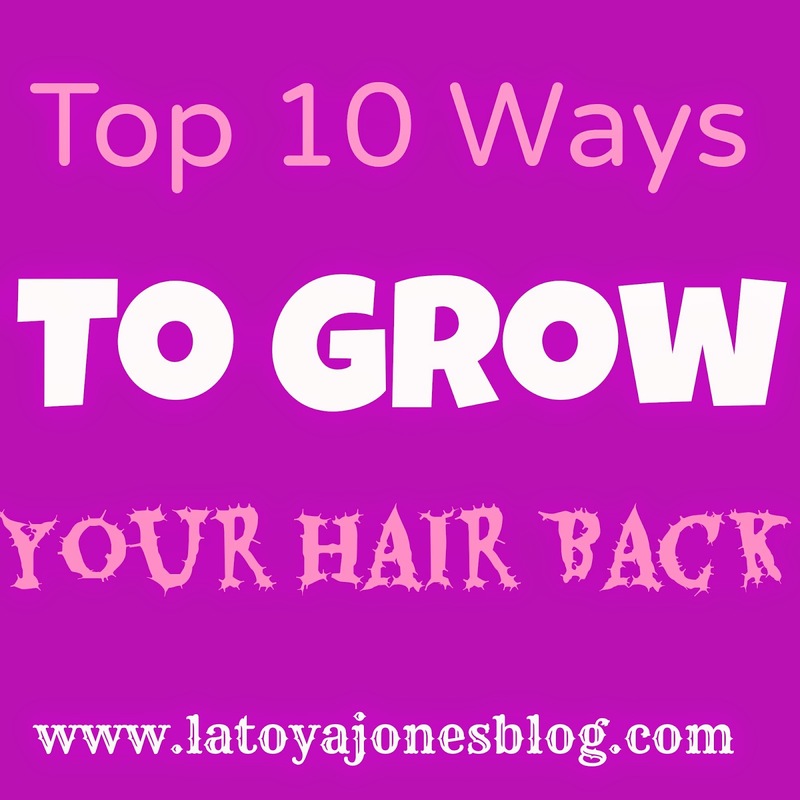 It may not seem like your hair is growing but it is! 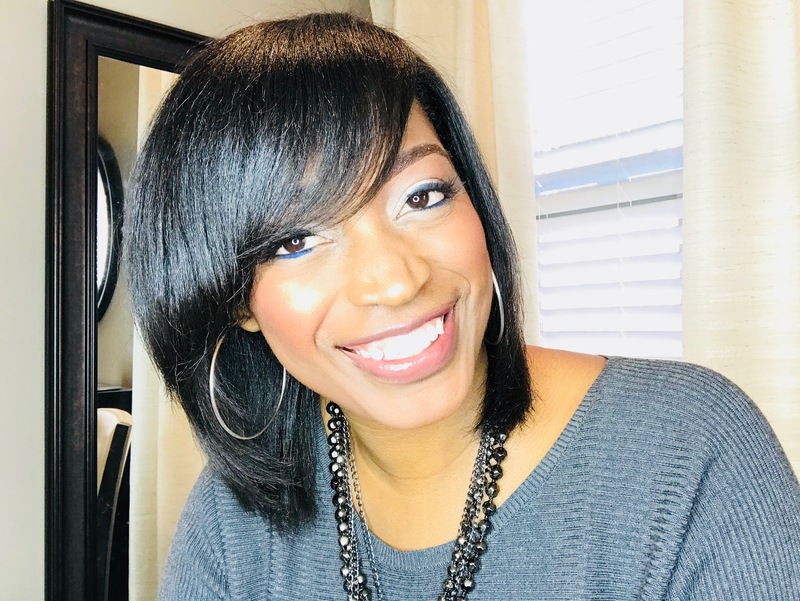 Continue to follow your healthy hair routine and in no time your hair will be down your back. Be sure to download my app! 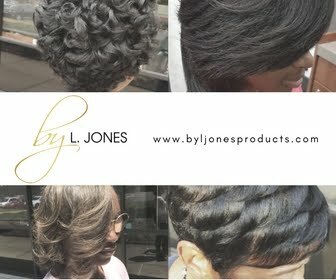 Head to Google Play and Itunes and search for L. Jones Salon!! !